What's the Difference Between Flying an Unmanned Aerial Vehicle Pilot (UAV) as a Hobby and Flying Commercially? Flying a UAV—also called an Unmanned Aerial System (UAS), a drone, or a model aircraft—as a hobby or for recreational purposes is a popular pastime. Over the past few years, there has been tremendous growth in the number and types of model aircraft available. They can be relatively easy to fly or rather involved. Technically, there is very little difference between the UAV, drone, or model aircraft used for hobby or recreational purposes and the UAV that is used commercially. 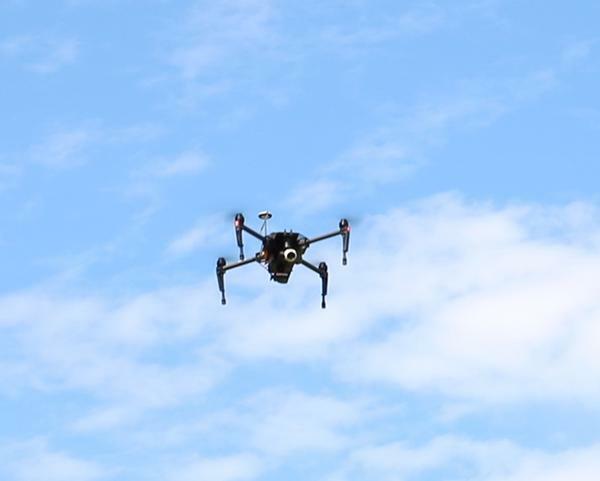 The biggest difference may be in the cameras, sensors, or payload the UAV carries. For most commercial operators (farmers included), the practical approach would be to follow the Small UAS Rule (Part 107). What makes UAV operations commercial? Will you use the images collected to make a farm management decision? 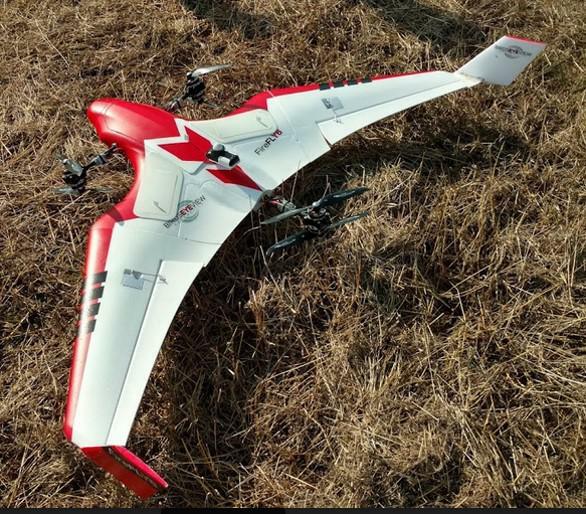 Will you deduct the cost of your UAV as a farm expense? Will you be compensated in any form for the images collected? It does not matter if you are flying over your own farm or property, if you answer yes above, it is a commercial operation. Figure 1. Rotary wing UAV in flight. What Do I Need to Do to Fly a UAV Commercially? There are specific requirements for obtaining a license to operate a UAV in the National Air Space (NAS). These requirements are developed and enforced by the FAA. Have the form signed by an authorized FAA Flight Instructor. Study guides to help you prepare for the exam are available from the FAA Becoming a Pilot page. In addition, there are some commercial resources available such as books, online classes, and study materials. Some community colleges have developed and offer UAV training classes. You can take the exam at an approved exam center (there are multiple locations around North Carolina). Alternatively, you can work with a certified flight instructor. Once you have passed the Knowledge Exam, you have to apply for a remote airman certificate. This can be done by mail or online through the Integrated Airman Certification and Rating Application (ICARA) website. If your application is processed successfully, you will receive a temporary remote airman certificate by email. The permanent certificate will be mailed to you, typically within four to six weeks. If you do not receive your permanent certificate within six weeks or after the expiration of your temporary certificate, you can request an extension of your temporary remote airman certificate. Your remote airman certificate must be renewed every two years by passing a recurrent knowledge test. Pass the North Carolina UAV Knowledge test. This exam will overlap the FAA knowledge test in some cases, but for the most part focuses on North Carolina regulations. There is a study guide available for download from the Division of Aviation website. The exam is taken online. After you pass the North Carolina Knowledge test, you can apply for a Commercial or Government Permit—whichever is appropriate for your operation. You must have your FAA airman certificate to apply for the permit. Practice with your UAV before you start collecting critical data. Keep a log of all flights. This will help you plan maintenance, keep up with battery life, and provide documentation that will be helpful later. Flight time, operating hours, equipment malfunction, and batteries used are just a few of the information items that the flight log must include. The FAA has a flight log template for organizations that operate with a Certificate of Authorization (COA) that can be used as a guide. Keep a log of weather information for your flight location. Wind, temperature, and UV index are all factors that can impact UAV performance as well as the quality of data collected from the flight. Establish a maintenance schedule and use it to keep your UAV in optimum shape. A regular (every flight) visual check of propellers, batteries, motors, controls, and UAV frame must be a part of preventive maintenance. Be aware of where you are flying. Know what, if any, airspace restrictions may apply. Know who may be operating around you. While not required for UAV pilots, filing a Notice to Airmen (NOTAM) will let others know where you are flying as well as give you access to information from other aircraft operations in your area. A NOTAM can be filed online at Flight Service. Launch and retrieve only from sites where you have permission to operate. Always maintain a line of sight with your UAV. Check to see if there are any local regulations on UAV flights. Consider obtaining liability insurance to cover your flight operations. Figure 2. Fixed wing (vertical takeoff and landing) UAV ready for launch. FAA. 2017. Unmanned Aircraft Systems (UAS) Frequently Asked Questions. Federal Aviation Administration, U. S. Dept. of Transportation. Accessed 2017. FAA. 2017. Fly for Work/Business. Federal Aviation Administration, U. S. Dept. of Transportation. Accessed 2017. FAA. 2017. Becoming a Pilot. Federal Aviation Administration, US Dept. of Transportation. Accessed 2017. FAA. 2017. FAA Safety Team: Safer Skies through Education. Federal Aviation Administration, US Dept. of Transportation. Accessed 2017. Division of Aviation. 2017. Operating Unmanned Aircraft Systems (UAS) in North Carolina. Division of Aviation, NC Dept. of Transportation. Accessed 2017.